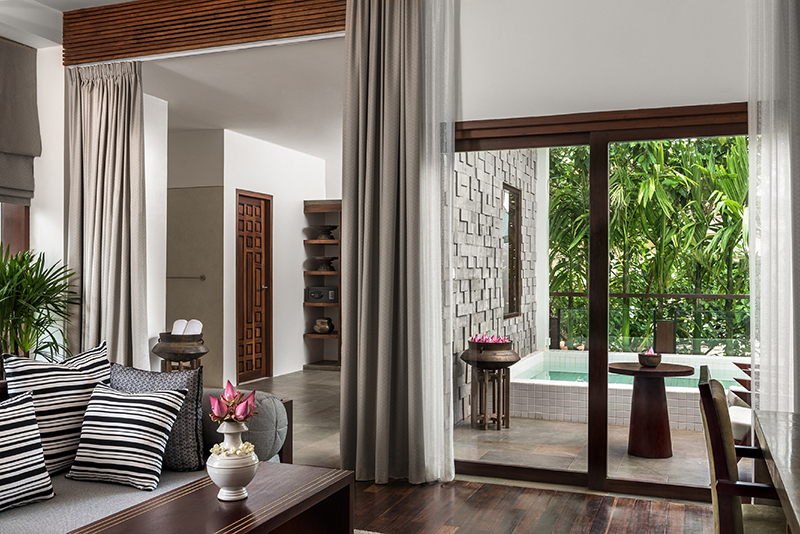 There’s a new gem in Cambodia that offers affordable luxury—the kind of place your eco-minded clients will swoon over. 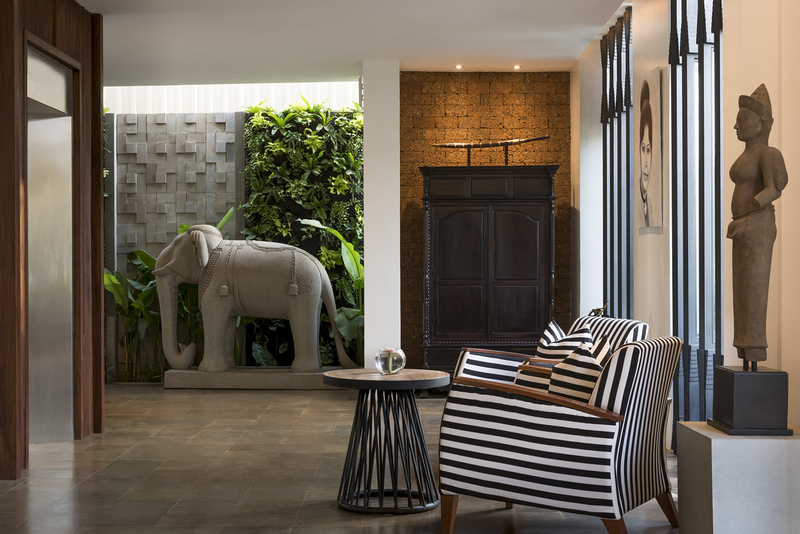 Located alongside the Siem Reap River in Cambodia and surrounded by the Angkor World Heritage sites, the new Jaya House River Park is a 36-room boutique hotel offering luxury amenities and services. The stunning resort features three room categories, each with either a balcony or direct garden and pool access. Included in these accommodations offering affordable luxury are a Malongo espresso machine, Bluetooth connectivity, high-speed wireless internet, and a well-stocked complimentary mini bar. The 410-sq.-ft. basic Deluxe Rooms feature one king or two queens while Junior Suites also offer separate living area; three also feature outdoor showers. Top recommendation is the nearly 1,000-sq.-ft. Junior Pool Suites also feature private plunge pools. Rates start at $206 for Deluxe Rooms; $226 for Junior Suites and $241 for Junior Pool Suites. How’s that for affordable luxury? At Trorkuon, guests can eat breakfast, lunch and dinner and choose to dine on traditional Khmer cuisine. The property bakes its own bread, makes its own ice creams and yogurts and also six unique teas. In addition to making its own shampoo, body lotion and scrub, the spa offers many treatments using the ancient Khmer art of healing that involves applying gentle finger pressure to the body to reduce tension in tired muscles to stimulate general well-being. There is also a beauty treatment that utilizes Cambodia coffee beans for a stimulating and aromatic experience. Jaya House has founded a program—Refill not Landfill—to eliminate use of plastic bottles; support local NGOs in art, music, landmine elimination and more. And all of its 107 employees are local (unique for that part of the world) and full time, plus the hotel supports education and pays 50 percent of English classes. For more information, visit jayahouseriverparksiemreap.com.